Below you fill find all funeral homes and cemeteries in or near Ballwin. Suburbs of Ballwin: Ellisville, Manchester, Wildwood, Winchester, Sherman, Town and Country, Twin Oaks. Ballwin is also known as: St. Louis County / Ballwin city. Their current mayor is Mayor Tim Pogue. Zip codes in the city: 63011, 63021, 63022, 63024. Some of the notable people born here have been: Pat Noonan (soccer player), and Blaine Gabbert (american football player). Ballwin is a second-ring western suburb of St. Louis, located in St. Louis County, Missouri, United States. The population was 30,404 as of the 2010 census. It was named by Money Magazine in 2005, 2011, and 2013 as one of the 100 best places to live in America. It was reported on January 19th, 2019 that Jill Sharkey Cunetto (Schwartz) perished in Ballwin, Missouri. Ms. Cunetto was 60 years old and was born in South Hutchinson, KS. Send flowers to express your sympathy and honor Jill Sharkey's life. It was noted on January 9th, 2019 that Rachael "Rae" Bacon (Floit) died in Ballwin, Missouri. Ms. Bacon was 39 years old. Send flowers to express your sympathy and honor Rachael "Rae"'s life. It was disclosed on November 29th, 2018 that Helen M Bierman (Eggemeier) passed on in Ballwin, Missouri. Ms. Bierman was 90 years old and was born in Chester, IL. Send flowers to express your sympathy and honor Helen M's life. It was noted on April 12th, 2018 that Annabelle McDonald (Craig) died in Ballwin, Missouri. Ms. McDonald was 90 years old and was born in Willisville, IL. Send flowers to share your condolences and honor Annabelle's life. It was disclosed on May 6th, 2017 that Imogene Carbaugh (Fowler) passed on in Ballwin, Missouri. Ms. Carbaugh was 84 years old. Send flowers to express your sorrow and honor Imogene's life. It was written on May 5th, 2017 that Shirley Joan Holt Jensen (Beal) passed away in Ballwin, Missouri. Send flowers to express your sorrow and honor Shirley Joan Holt's life. It was disclosed by Peoria Journal Star on December 1st, 2016 that Amy Jo Trau (Fleming) passed on in Ballwin, Missouri. Ms. Trau was 60 years old and was born in Litchfield, IL. Send flowers to share your condolences and honor Amy Jo's life. It was written on January 7th, 2016 that Ella Mae Wilson (Bouas) perished in Ballwin, Missouri. Ms. Wilson was 88 years old and was born in Tilden, IL. Send flowers to express your sympathy and honor Ella Mae's life. It was written on January 7th, 2016 that Ella Mae Wilson (Bouas) passed away in Ballwin, Missouri. Ms. Wilson was 88 years old and was born in Tilden, IL. Send flowers to express your sympathy and honor Ella Mae's life. It was revealed on January 4th, 2015 that Patricia Ann Wood (Clymer) perished in Ballwin, Missouri. Ms. Wood was 68 years old and was born in Washington, IL. Send flowers to express your sympathy and honor Patricia Ann's life. 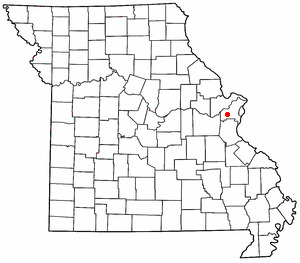 Louis, located in St. Louis County, Missouri Louis County, Missouri, United States. It is the only city in America named Ballwin. It was named by Money Magazine in 2005 as 64th on the list of the 100 best cities in America. The population was 30,264 as of 2006 . The official website for the city of Ballwin is http://www.ballwin.mo.us. The funeral will be at 10 a.m. today at Schrader Funeral Home and Crematory, 14960 Manchester Road, Ballwin. Burial will be at Bellerive ... Lucille Rickard of St. Charles and Louise Haas of High Hill, Mo. ; and one grandson. Find BBB Accredited Funeral Services near Ballwin, MO - your guide to trusted Ballwin, MO Funeral Services, recommended and BBB Accredited businesses. We work with local florists and flower shops to offer same day delivery. You will find budget sympathy flowers in Ballwin here. Our funeral flowers are cheap in price but not in value.